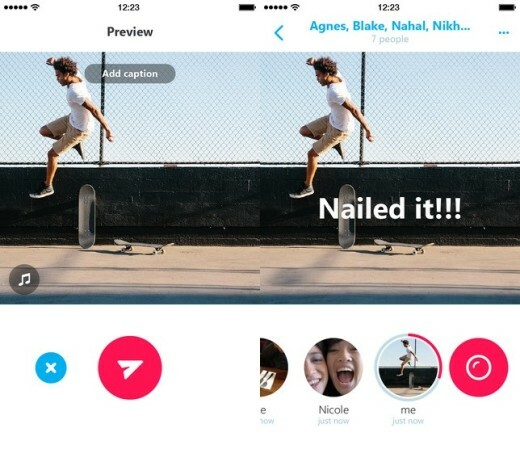 Microsoft has updated its Skype Qik ephemeral messaging app on iOS with support for captions, music and photos. Taking cues from rival app Snapchat, Qik now lets you add captions to your videos, that are displayed as an overlay on top of your clip. You can also add music to your video message by selecting a track from your iTunes library. At present, Qik doesn’t let you choose a snippet of a song for your video — it plays your chosen track from the beginning. The app now lets you send photos too. You can select a bunch from your camera roll and send them together as a slide show. Microsoft hasn’t announced if or when Qik’s Android and Windows Phone apps will get these new features.